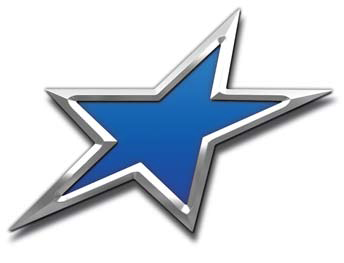 Update: 2019 GOLDEN GREAT 7-on-7 STATE CHAMPIONSHIPS SUNDAY – APRIL 7, 2019 are here. The 7-on-7 football season has flown by and Quick 6 Football has arrived at its final regular event for the high school division. 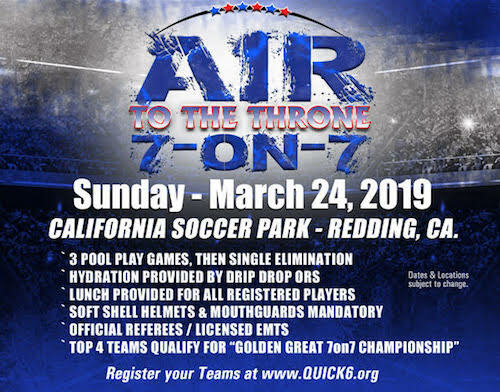 The “Air To The Throne” tournament on Sunday, March 24th at the beautiful California Soccer Park in Redding. 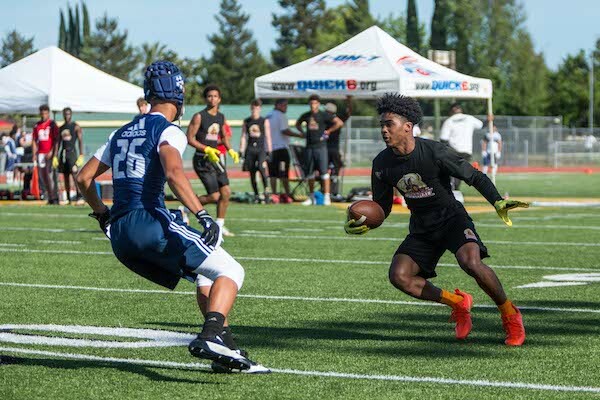 This will be the last chance for teams to qualify for the “Golden Great” 7-on-7 State Championship in San Francisco on April 7 at SF City College. Quick 6 is still taking registrations for the event. The Bay Area, Sacramento and Central Valley regions will all be represented by multiple teams. DB Select of Sacramento/Elk Grove won the “Under The Lights” Sacramento qualifier in February. Sonoma Elite recently won the “Dimes Vs. Defense” Bay Area qualifier on March 10. Redding has done a great job rebuilding after the Carr Fire of last July. The City is looking forward to the “Air To The Throne” event bringing excitement and travelers in. RENT 5 ROOMS AND GET THE 6th ROOM FOR 50% OFF. United Airlines announced in early March, it was beginning daily non-stop flights from Los Angeles (LAX) to Redding Municipal Airport (RDD). This will only make getting to the North State for competitive club sports events that much easier. 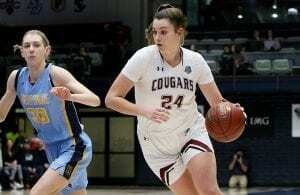 The increased access to the Northern California city of Redding, which was voted the Top California Destination for Youth and Amateur Sports in SportsEvents Magazine, opens more opportunities for travel to the region and holding various sporting events. Redding is home to a number of top-of-the-line facilities. 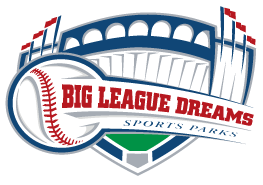 Big League Dreams Sports Complex features five lighted all-weather synthetic turf fields for year-round activity, plus a 20,000-square foot indoor pavilion for hosting indoor soccer, hockey or basketball leagues and tournaments. 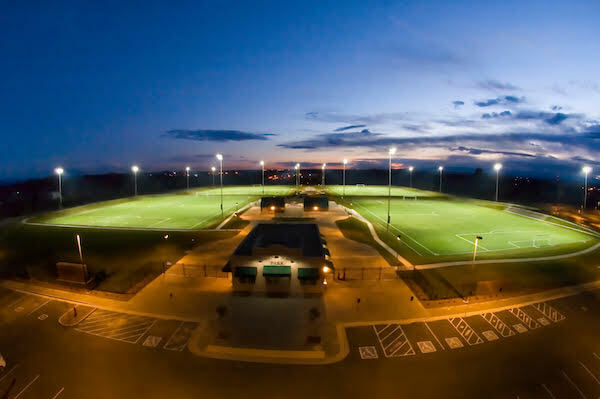 The California Soccer Park (pictured above) has four NCAA-regulation synthetic turf fields used for lacrosse, soccer or flag football, and the Redding Aquatic Center features an Olympic size 50-meter by 25-yard competition class swimming pool. All three facilities have plenty of space to stretch out between games or races. United Airlines will operate a 50-seat Canadair Regional Jet CRJ-200 on the new route leaving Redding daily at 6:45 a.m., arriving at LAX at 8:35 a.m. with the returning flight departing LAX at 7:10 p.m. and coming into Redding at 9:25 p.m. The Redding Municipal Airport already operates four daily non-stop flights with United’s international hub at the San Francisco International Airport (SFO).